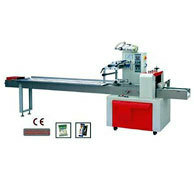 We have the best packaging machines used for shrink wrapping. It is this commitment to quality that keeps the company growing and assures our customers long term reliability. 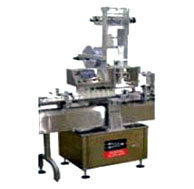 Shree Ji Shrink System is one of the well established names in the field of Shrink Packaging Machines. With an aim to improve upon the prevailing packaging standards, the company has set up a strong R & D to take up any challenge. Automation offered by us are useful for applying straps around the loading unit without consuming labor and time. We also provide industrial packaging machineries like cartoning machines, cup / tray filling machines, screw capping machines and carton tapping machines. Widely used in food processing and pharmaceutical industry, these machines are user-friendly, compact, durable and effective. Our automatic sleeve machines are perfect for wrinkle free wrapping and perfect finish. At the same time, these machines are energy efficient as well. These machineries are capable to perform stretch wrapping of major pallet loads. The user friendly design makes it very popular in the packaging industry. We offer vacuum packaging machineries that are precision engineered for reliability and ease of operations. We offer Stacker with Shrink along with Case Packing. We offer Sleeve Wrapper for Cylindrical Bottles. Heavy Duty Pick and Place System offered by us are useful for applying pick and drop around the loading unit without consuming labor and time.